Get ready for a Wild West adventure at the West Rim of the Grand Canyon! Get ready for a Wild West adventure at the West Rim of the Grand Canyon! Your professional driver/guide will provide live narration en route to the Grand Canyon from Las Vegas, while you sit back and relax on board a state-of-the-art deluxe motor coach. Your tour will begin with a photo stop of Hoover Dam taken from the amazing O'Callaghan-Tillman Bridge, with enough time to enjoy the majesty of this engineering masterpiece. Educational narration follows as you travel through the ancient Joshua Tree Forest en route to the West Rim of the Grand Canyon. At the West Rim, visit Hualapai Indian Country and take advantage of the many photo opportunities with your hosts, the Hualapai Indians. 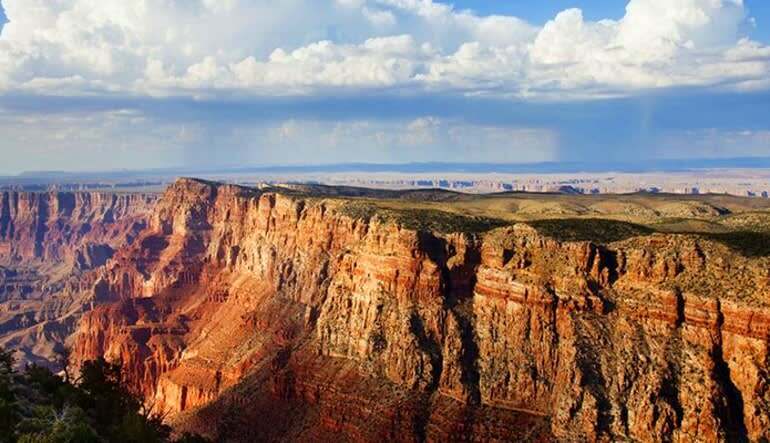 Enjoy breathtaking panoramic views of the Grand Canyon from Eagle Point, where you can experience the latest attraction - the Grand Canyon Skywalk. 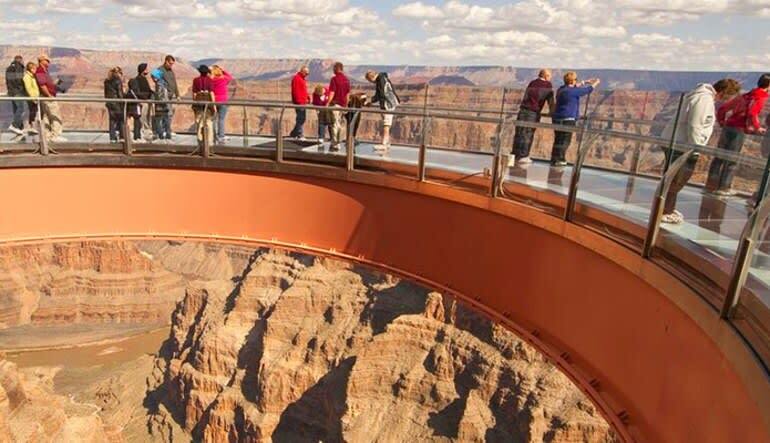 Walk the Sky on the opened glass bridge over 4,000 feet above the canyon floor. See the West Rim of the Grand Canyon as never seen before with a complete 360 degree panoramic view of the West Rim. Learn the history and geology of the canyon from our Indian guide. Continue along the rim to board your helicopter. 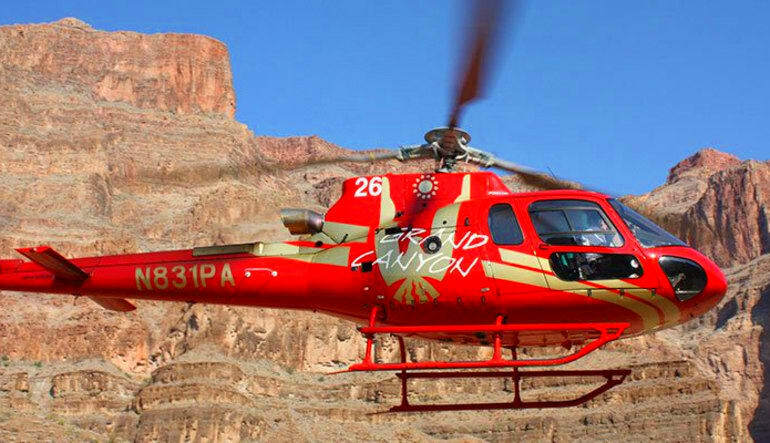 As your helicopter descends a breathtaking 4,000 feet to the canyon floor, take in the magnificent beauty of the canyon walls surrounding you. A short trek to the riverside docks is where a pontoon boat awaits. Board the boat and enjoy a smooth ride along the Colorado River. 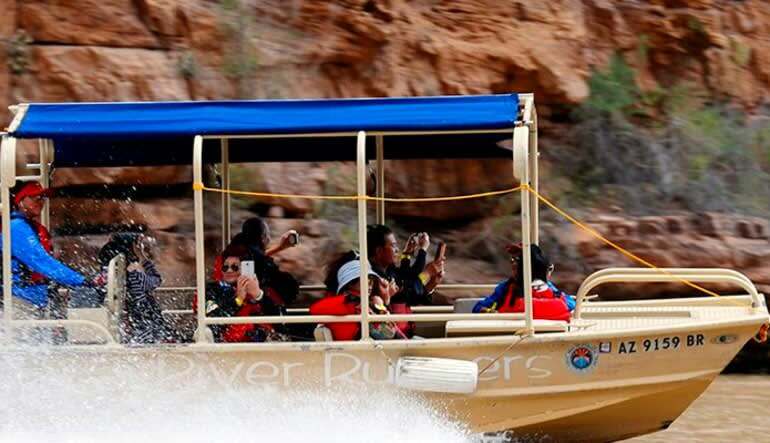 Witness the unfolding canyon landscape and legendary beauty as you float along the heart of the mighty Colorado River. Leave the canyon floor as you ascend with the helicopter. Make sure to capture your Grand Canyon visit on camera before heading back to your Las Vegas Hotel.